“Mikhail Alexandrovich Bakunin, the anarchist, was a political thinker; his reputation, based partly on his appetite for action and partly on unsympathetic historiography, obscures this…” Robert Cutler opens the introduction to his anthology of Bakunin’s writings with these words. Another historian, Nunzio Pernicone, deplores the modern fashion of “Bakunin-bashing.” And Arthur Lehning, in a 1978 review of the historical literature, refers to a conspiracy of silence, suggesting that studying Bakunin inevitably raises basic questions confronting working-class movements – dictatorship vs. liberty, centralism vs. federalism, self-organization vs. a domineering political party. When Lehning wrote, only the Marxist E.H. Carr’s 1937 biography was available in English (aside from historical sketches in pamphlets, journals, and collections of Bakunin’s work) and few of Bakunin’s writings had been translated into English. But today a substantial number of biographical works, at least compared to the paucity of Bakunin’s own writings, are available in English. In addition to E.H. Carr’s dated but still standard biography, reissued in 1975, readers have been subjected to two popular biographies (Masters, Mendel), a new scholarly biography by Aileen Kelly, a very useful look at Bakunin’s pivotal role in organizing the Italian socialist movement (Ravindranathan), and Thomas’ rather intriguing examination of the way in which Marx borrowed his ideas from, and shaped his arguments in response to, anarchist thinkers including Bakunin and Proudhon. Masters’, Mendel’s and Kelly’s biographies are quite poor, especially when compared to Carr. Mendel argues (unconvincingly, and on the basis of remarkably few sources) that Bakunin’s revolutionary career and ideas were fundamentally authoritarian and resulted from deep-seated psychological problems. Masters is friendlier to his subject (but sees anarchism as at best a beautiful but impractical dream), but draws almost entirely upon English-language sources, especially Carr, and is written more in the style of a novel than a work of history. Aileen Kelly’s biography, the newest of the three, purports to be an intellectual biography but (in Cutler’s words) “treats Bakunin as a case study in the social psychology of millenarianism” (p. 234). Kelly is unabashedly hostile, painting Bakunin as an ill- meaning buffoon, misrepresenting key aspects of his life and thought, and disguising missing evidence with circular footnotes. Although historians of Spanish (Esenwein) and Italian (Ravindranathan) anarchism point to the organizational and propagandistic skills Bakunin displayed in those settings, Kelly refuses to allow the historical record to stand in the way of her thesis. Kelly and Mendel attribute responsibility for Nechaev’s Catechism to Bakunin, even though it has been proven that Bakunin not only did not write it, but vigorously denounced it. (Carr, writing before the evidence was in, makes the same argument on the basis of stylistic similarities and turns of phrase, apparently never considering the fact that authors borrow from, and are influenced by, one another. Avrich’s collection of Anarchist Portraits contains an essay reviewing the evidence on this, and another which attacks Bakunin on scant evidence indeed.) 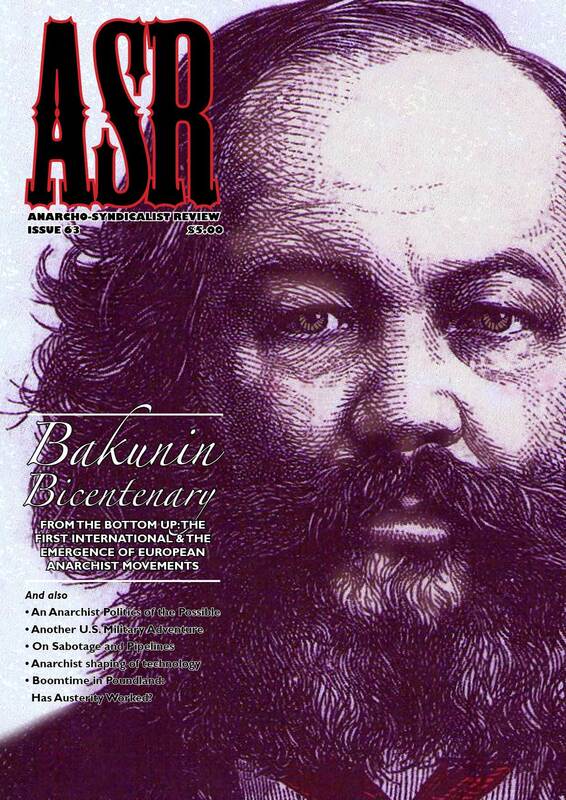 Aside from Carr, the biographies focus their attention on Bakunin’s pre- anarchist period, whether because it was the greater part of his life (though it is his anarchist years for which Bakunin is best remembered, and that account for the continuing historical interest) or because it enables biographers to indulge in their pet theories about why Bakunin turned out so badly. And make no mistake about it, in the eyes of his biographers (at least his English-language biographers) Bakunin turned out very badly indeed. For Carr, Bakunin is a tragic-comic figure, albeit very human. Masters suggests a greater degree of grandeur in his rewriting of Carr’s work. For Mendel, Bakunin is a villain of the highest order, with an egomaniacal will to dominate and to destroy. Kelly softens this portrait somewhat, leaving Bakunin quite inscrutable. For if he were truly the ineffectual buffoon she describes, he would surely have long since passed into obscurity. Readers interested in learning the details of Bakunin’s life would do better to look at Guillaume’s highly partisan account, which opens Dolgoff’s anthology, or Shatz’s briefer biographical sketch in the Introduction to his edition of Statism and Anarchy. While Carr is by no means friendly to anarchism, his account too is worth reading. But Ravindranathan’s account, while covering Bakunin’s life from 1814 through 1863 (Bakunin moved to Italy in 1864) in just 16 pages, offers the best book-length English- language biography, covering the years when Bakunin developed and began to propagate his anarchist ideas. Despite its focus on Italy, Bakunin & The Italians illustrates both Bakunin’s methods and his ideas during this vital period (Bakunin retired in ill health in 1874, his final two years receive little attention). In order to read Bakunin himself, one still often needs to be proficient in French or Russian (preferably both), but there are now four widely-available English-language anthologies of Bakunin’s writings (Dolgoff, Cutler, Lehning and Maximoff), alongside the long-available God and the State (published by Dover in 1970) and Marshall Shatz’s new translation of Statism and Anarchy – one of Bakunin’s few more-or-less completed books, and his last major theoretical work. (An earlier translation of Statism and Anarchy by C.H. Plummer was published in 1976 by the Revisionist Press. I have been unable to locate a copy, but it is reputedly much inferior.) Also available in English is an annotated edition of The Confession of Mikhail Bakunin (written from a Russian prison), and excerpts in several anthologies and pamphlets. These translations and anthologies fall into two broad categories: scholarly editions (Cutler, Shatz), and more popular translations (Dolgoff, Maximoff; Lehning falls somewhere in between) intended to present Bakunin’s ideas to contemporary readers. The popular editions often delete references to often obscure controversies or persons Bakunin was responding to and seek to simplify his often difficult prose in order to make it more accessible to modern readers. The resulting works are generally more readable than are their scholarly counterparts, though some readers prefer (or need) the deleted material in order to place Bakunin’s writings in their specific, historical context, which often shaped not only the concerns addressed but also the form they took. Dolgoff’s anthology is the most useful and comprehensive, although Cutler has unearthed several interesting texts. Maximoff is useful primarily as a concordance – he has organized very brief excerpts by subject, in order to enable readers to readily ascertain, say, Bakunin’s views on human nature. But while translators such as Cutler and Schatz tend to present Bakunin’s writings as historical artifacts, Dolgoff sets out to illustrate the basic themes of Bakunin’s anarchist philosophy, and has carefully selected his texts “in order to enable the reader to grasp the essence of Bakunin’s views” (p. 21). Sadly, many anarchists know little more of Bakunin than a few aphorisms (the urge to destroy is also a creative urge, “I shall continue to be an impossible person so long as those who are now possible remain possible”) and perhaps a general sense of his critique of, and battle against, Marxism. For example, a writer in The Raven recently argued, on the basis of her reading of God and the State, that Bakunin was uninterested in the liberation of women. Clearly she was unfamiliar with Bakunin’s “Manifesto of the Russian Revolutionary Association to the Oppressed Women of Russia” (excerpted in Dolgoff), of his defense of his sister’s right to escape a love-less marriage, etc. Similarly, recent writers in the anarchist press have attributed a wide variety of conflicting economic views to Bakunin. Without doubt, Bakunin had many faults and inconsistencies – even during the years when he was developing anarchism as a political philosophy. But he played a vital role in the evolution of our movement and our ideas, and deserves to be better, and more accurately, remembered. Michael Bakunin, Statism and Anarchy (Introduced and Edited by Marshall Shatz). Cambridge, UK: Cambridge University Press, 1990. E.H. Carr, Michael Bakunin (Revised Edition). New York: Octagon Books, 1975. Sam Dolgoff (editor), Bakunin on Anarchism (Expanded edition). Montreal: Black Rose Books, 1980. Aileen Kelly, Mikhail Bakunin: A Study in the Psychology and Politics of Utopianism. Oxford, UK: Clarendon Press, 1982. Arthur Lehning, Michel Bakounine et les historiens. Geneva: C.I.R.A., 1979. —– (editor), Michael Bakunin: Selected Writings (Translated by Steven Cox and Olive Stevens). London: Jonathan Cape, 1973. Anthony Masters, Bakunin: The Father of Anarchism. New York: E.P. Dutton, 1974. G.P. Maximoff (translator and editor), The Political Philosophy of Bakunin: Scientific Anarchism. Glencoe, IL: Free Press, 1953. Arthur Mendel, Michael Bakunin: Roots of Apocalypse. New York: Praeger, 1981. T.R. Ravindranathan, Bakunin and the Italians. McGill-Queen’s University Press (3430 McTavish St., Montreal, Quebec H3A 1X9), 1989. Paul Thomas, Karl Marx and the Anarchists. London: Routledge and Kegan Paul, 1980. Without doubt, Bakunin had many faults and inconsistencies – even during the years when he was developing anarchism as a political philosophy. But he played a vital role in the evolution of our movement and our ideas, and deserves to be better, and more accurately, remembered.